The 11th edition of the Eurovision In Concert will take place on Saturday, April 6 at 20:00 in Amsterdam's AFAS Live. 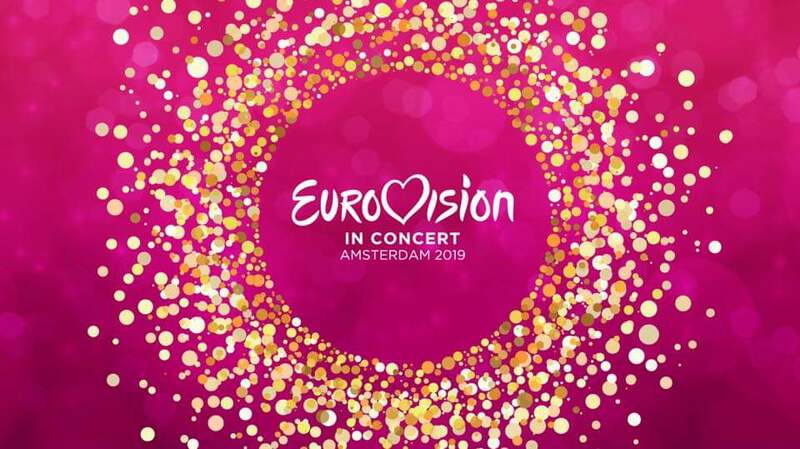 Cornald Maas (the Dutch Eurovision commentator) and Marlayne Sahupala (The Netherlands 1999) will be the hosts of Eurovision In Concert 2019. Tickets went on sale on Friday 28th September through ticketmaster. 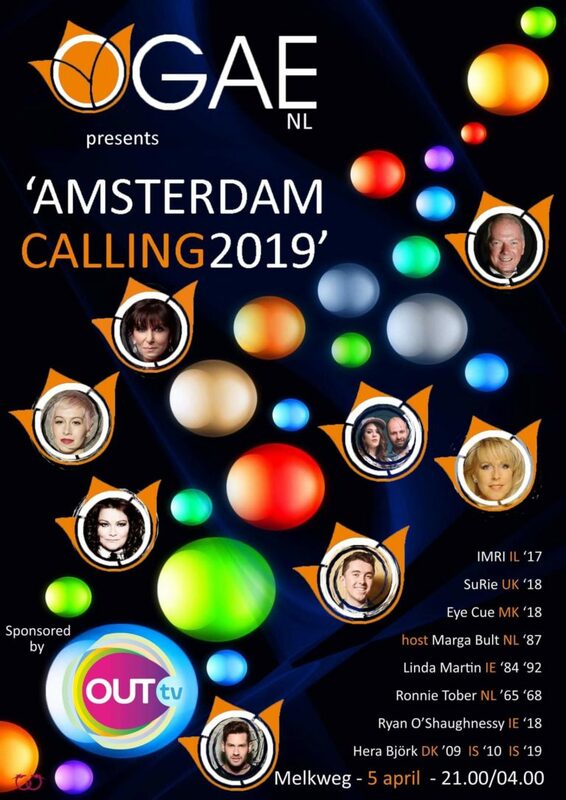 OGAE NL will host Pre-Party Amsterdam Calling on Friday, April 5th in De Melkweg. Tickets are now available on Ticketmaster.nl. Participants of the Eurovision Song Contest and national finalists from several countries will meet in Riga to introduce their songs to the Latvian audience. For the sixth time in the capital of Latvia, the only Eurovision "warm-up" concert in Northern Europe - "Eurovision PreParty Riga" will take place. The main artists of the evening are the group “Carousel” - Latvian representatives of this year's Eurovision. 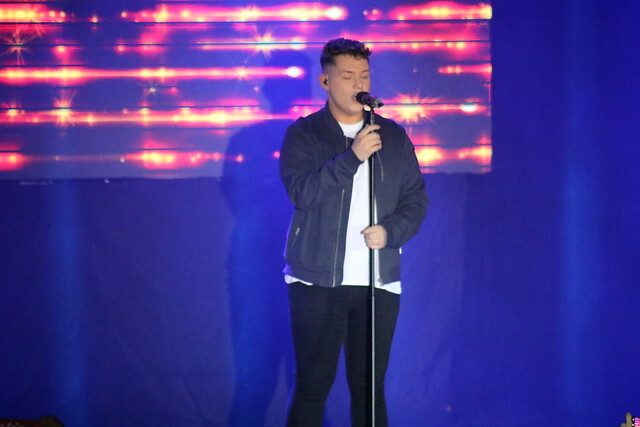 As a special guest at the concert, the National Selection Supernova Finalist Edgars Kreilis, the winner of the OGAE Latvia award. Eurovision participants - KeiiNO Group - will come from Norway and Monika Marija, the winner of this year's second prize, from Lithuania. The event will be hosted by musician Roberto Meloni. “This year, the theme of Riga Eurovision concert is Israel - as in this country the world's largest musical television competition - Eurovision will take place in May. We will have the opportunity to taste the Israeli national dishes and drinks, and get to know this fabulous country! The concert is a real celebration for all Eurovision fans. Be warmly welcomed! ”says Miroslavs Kodis, president of Eurovision fan club in Latvia (OGAE Latvia). Eurovision PreParty Riga is an international event organized since 2014 in Riga. The main idea of ​​the event is to introduce the Latvian and international audience to the Eurovision Song Contest participants and songs. Eurovision PreParty Riga is one of several Eurovision concert series. Competitors also meet at concerts in Amsterdam, London and Moscow. Eurovision PreParty Riga organizer is Eurovision Song Contest fan club in Latvia - ''Eurovision Club OGAE Latvia". 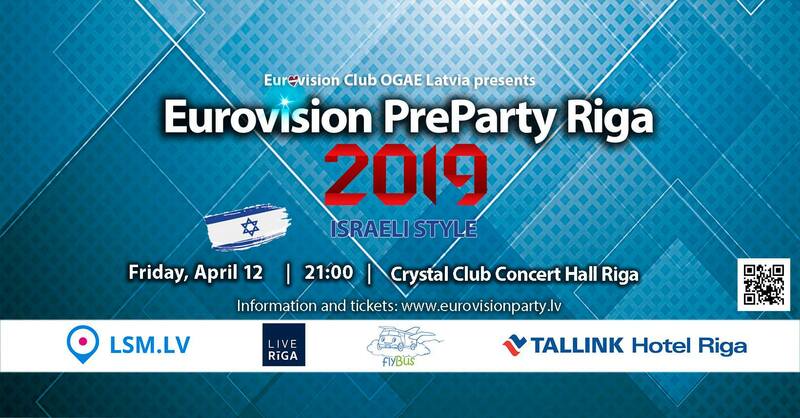 The concert “Eurovision PreParty Riga 2019” will take place on April 12 at the Crystal Club, 52/54 Lacplesa Street. Start at 21.00. Tickets are available here priced 15-19 EUR (individual tickets to dance floor), 80-184 EUR (tables for 4-8 persons). The event will be hosted by Roberto Meloni. 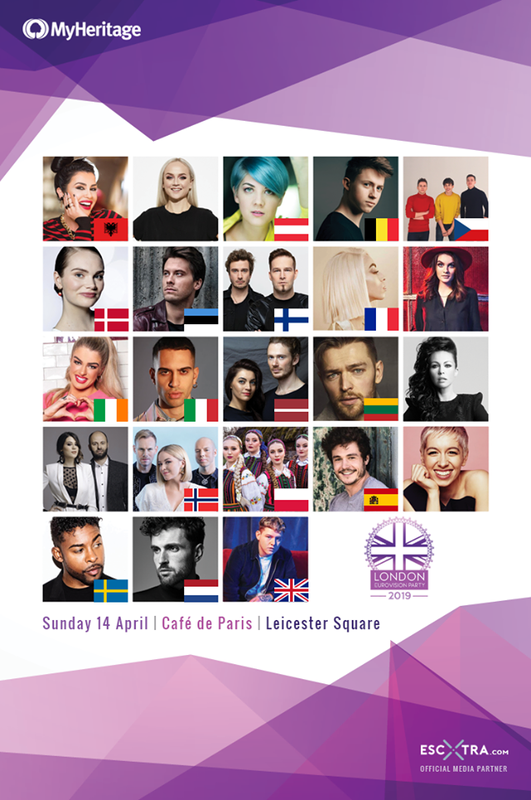 London Eurovision will take place on Sunday, April 14 from 7pm, returning to the iconic Leicester Square venue of Café de Paris for the sixth consecutive year. "Each year, we get such great feedback from delegations who love our choice of venue for the London Eurovision Party. 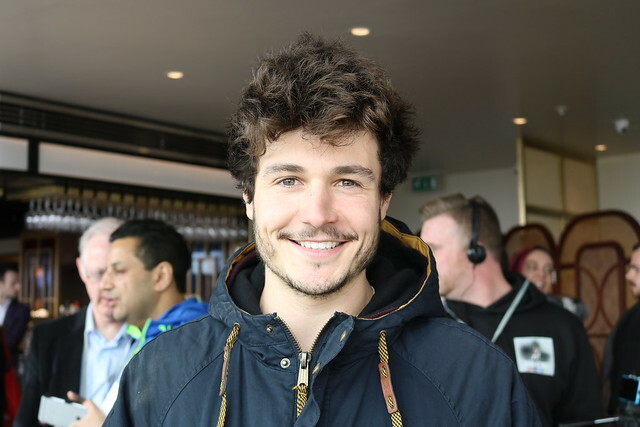 Their artists really feel the reaction of the crowd when they perform and it gives everyone involved with the entry such a huge buzz", says Russell Davies, co-organiser for the event. 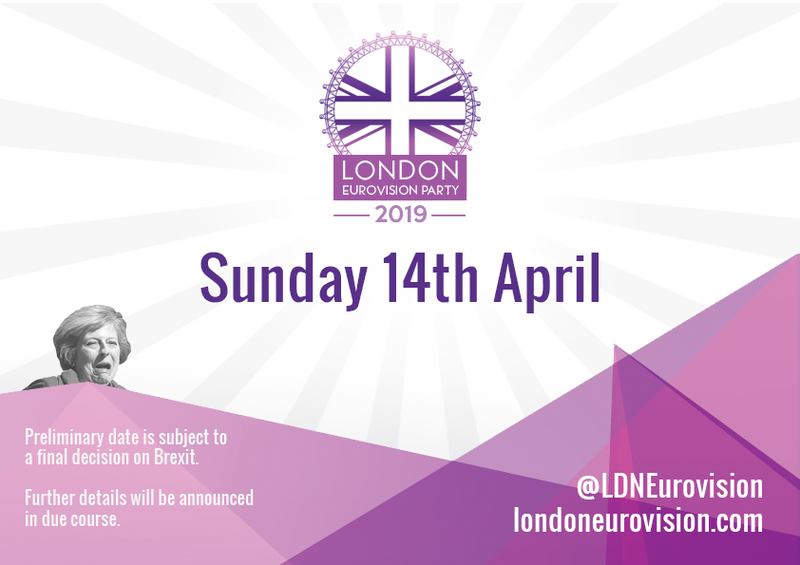 Tickets for the London Eurovision Party 2019 go on sale at 10am on Saturday 16th February via TicketWeb. They are priced at £52.50 plus fees for general admission, £67.50 plus fees for early entry admission and £130 plus fees for VIP tickets which allow access to the upstairs balcony area for the event, which has some unreserved seating, and includes goodie bags with exclusive merchandise items, light snacks and drink tokens for the event plus a meet-and-greet opportunity with Eurovision stars. 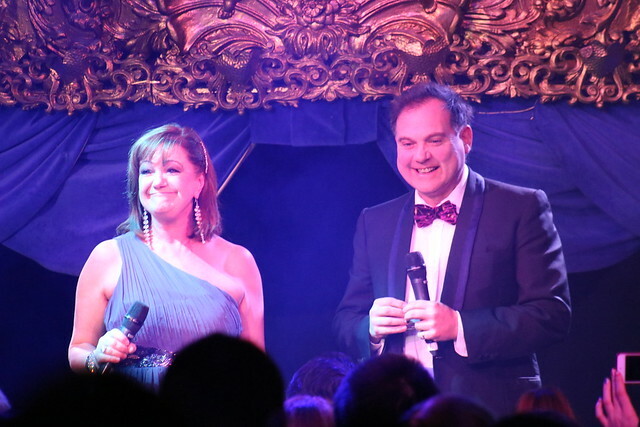 The London Eurovision Party returned yesterday for it’s twelfth year at the Cafe De Paris in London. The event is the longest running Eurovision pre-party and is always a pleasure to attend and report from. ESCKAZ were very happy to attend once more for our 9th year. The day started with a new venue for the press event, though in fact this was a welcome return to the original venue from about 5 years ago. Newly refurbished, this 9th floor bar overlooking Leicester Square in central London is a perfect backdrop to meet and greet the delegations from all over Europe and have some time with them. ESCKAZ.com, as always try to bring as many interviews as possible, and we managed 16 yesterday, with 13 from this year’s participants. All the clips may be found in our playlists on our youtube channel. 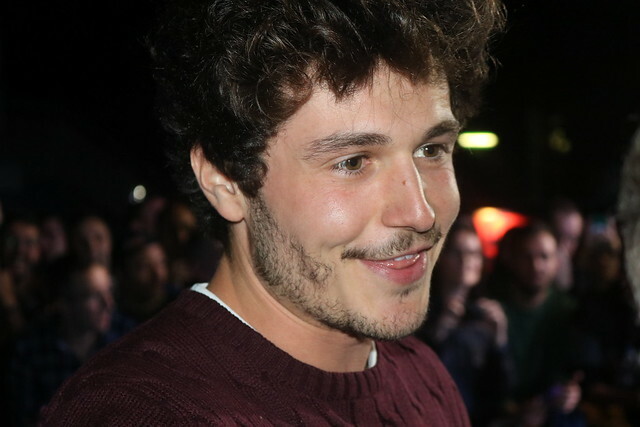 Some highlights were chatting with Duncan Laurence from the Netherlands, who is really into his inspirations for his music, Mahmood from Italy, who has amazing English, the big bundle of fun that is Tulia from Poland, Jurijus Veklenko from Lithuania and last but not least MIKI NUÑEZ from Spain, who is just so adorable. Just one thing, we do feel as a media, that London Eurovision Party press event might benefit from some sort of press conference, introduction of the acts, as this is always a plus when other promo parties do this. It’s a great way to introduce the acts, and brilliant for a group photo. The show, as always, was exceptionally well put together and produced. LEP is always a party atmosphere and is more about having interaction with the audience and performers. The close proximity of the artists to the audience - with some artists even joining the audience - and the intimate nature of the venue all come together to create a fabulous atmosphere. That and the fact, that after the Spanish, the UK Fans are just about the most obsessed and crazy ones there are - in the nicest possible way. Well what about the actual performances themselves? Well as you can check them all out for yourself on the mobile phones uploads everywhere and the better quality clips on our youtube channel, you can decide for yourselves. That said there were some real highlights, on a personal level, such as Italy, France, Poland, Belgium, Latvia (who knew!! ), Spain, and the ones that brought the party to London like Finland and Norway. Also a huge shout out to Nicki French with her version of Si (Italy 1974). So that’s London Eurovision Party over for another year and we send our huge thanks to Russell Davies Kabir Naidoo, Nicki and all the team involved for another fantastic show. 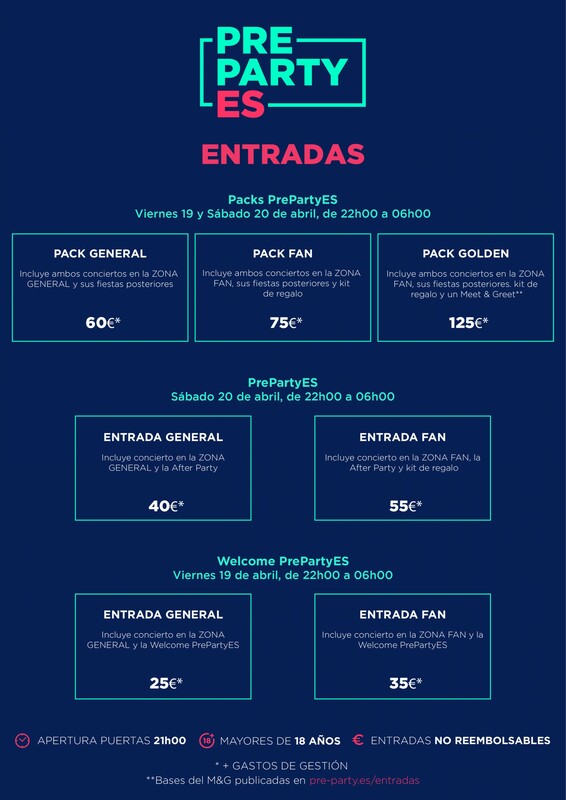 Eurovision-Spain Pre-Party will be held on April 19 and 20. The iconic La Riviera in Madrid will host both the Welcome PrePartyES and the main concert under the motto "The rhythm that joins us" celebrating 50th anniversary of the first and only contest held in Spain. Tickets will go on sale next Wednesday, December 19 at 12:00 CET: on the official website pre-party.es, physically in all the El Corte Inglés travel centers and agencies and by telephone. As in the two previous editions, tickets can be purchased in two modes, Fan, for the first rows; and General. In addition, they can be purchased individually or in a weekend discount pack. 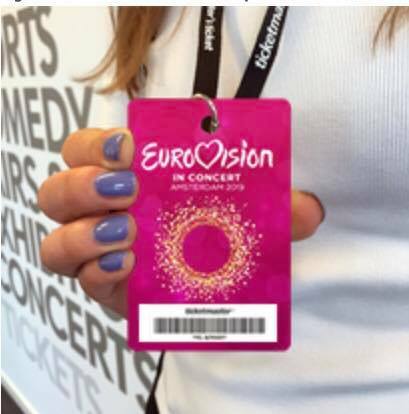 This year also premiers the Golden Ticket that includes the two fan zone concerts, the two parties, a gift kit and a Meet & Greet with the at least half of the ESC 2019 acts attending the Pre-Party. The event will be held on Friday, April 19 in the afternoon. This "Golden Ticket" has a very limited roll of only 35 units. Eurovision-Spain has also reserved a percentage of tickets for the members of the Eurovision fan clubs in Spain, OGAE and AEV, as well as for the members of E-S CLUB. 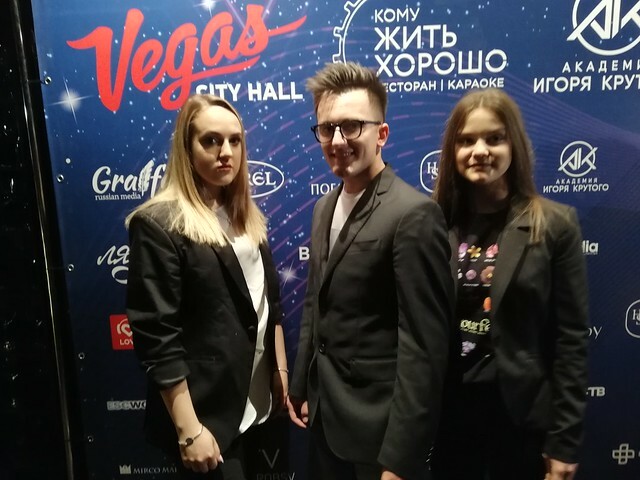 April 24, Vegas City Hall: Moscow Gala Concert of the Eurovision-2019 will gather a record number of participants in the history of the Russian pre-party. On April 24 in Moscow, in the Vegas City Hall, a traditional Russian pre-party and a big gala concert of the most popular Eurovision Song Contest will be held. The ninth Moscow party will be the largest in the history of Russian pre-parties and will beat several own records at once. 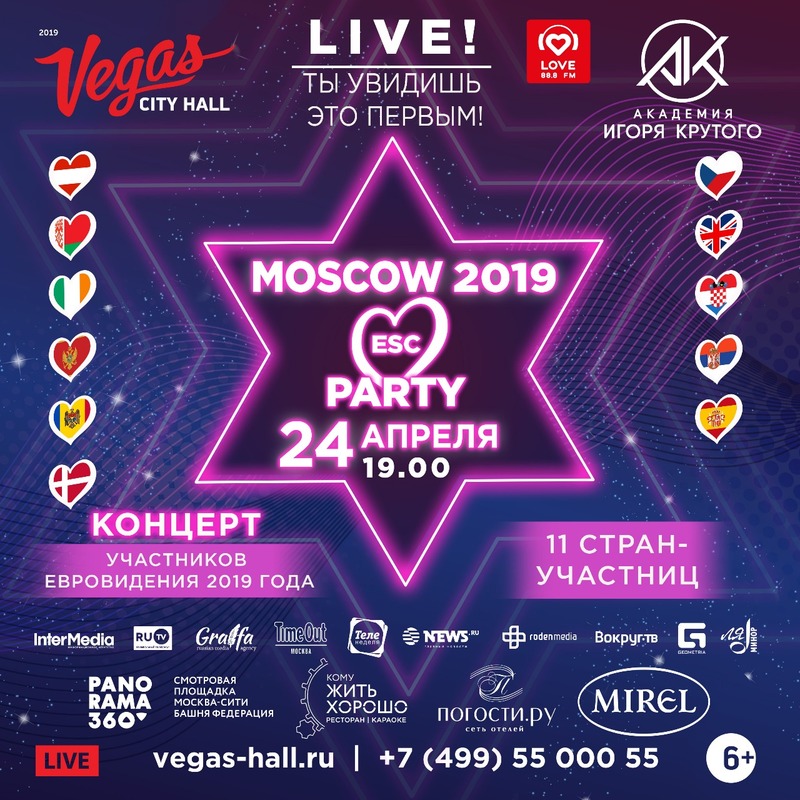 Performers from 11 countries will present their songs on the stage of Vegas City Hall, which will be an absolute record in the entire history of the Moscow pre-party. And the list of participants continues to grow. Delegations from Belarus, United Kingdom, Montenegro, Moldova, Spain, Ireland will not for the first time support the Russian concert with their participation, and representatives of the Czech Republic, Croatia, Serbia, Denmark and Austria will perform for the Russian public for the first time. 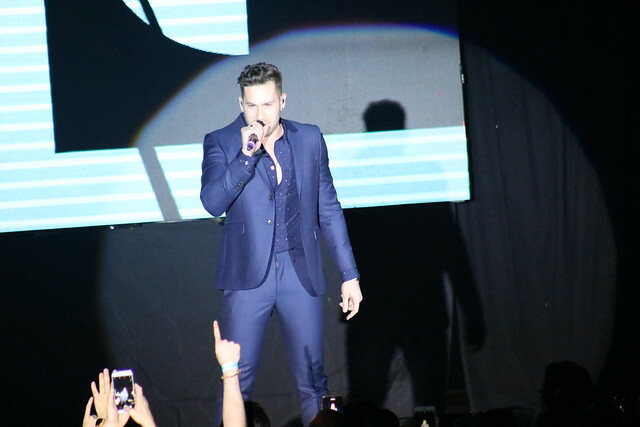 This year the event is hosted by the Vegas City Hall (capacity of more than 1,700 people), which means that the concert will bring together a record number of spectators. The organizers will present the public an unique new format: this year they will unite the Russian pre-parties of the Junior and adult Eurovision 2019. As part of the gala concert, the Igor Krutoy Academy of Music will present its section and participants of the national selection of the Junior Eurovision 2019 for all fans and media. This section will be opened by Polina Bogusevich, the winner of the Junior Eurovision Song Contest 2017, Anna Filipchuk, the participant of the Junior Eurovision Song Contest 2018 from Russia, as well as the brightest pupils of the Academy and the participants of this year’s Junior Eurovision preselection, Anna Yurkevich, Mariana Titova, Tatyana Mezhentseva, Fidan Guseynova, Dochas group, Mikhail Noginsky and Vadim Yakushev. In addition to the main event on April 24 (19:00) two additional high-profile promotional events will take place. April 23 (20.00) - welcome-party (meet and greet) in the restaurant “Komu zhit horosho”. 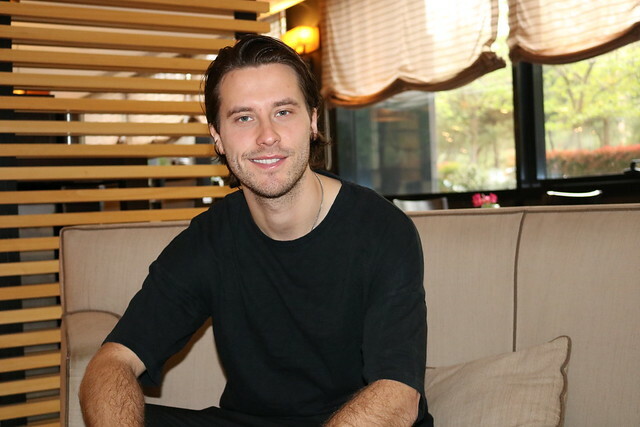 The program of the event includes a red carpet, a photo call of all invited participants in Eurovision-2019 with the participation of Russian first-tier stars, a private party and a concert. April 24 (11.00) - a press conference at the site of the Panorama360 project (89th floor of the Federation Tower) with the participation of representatives of the Academy Igor Krutoy, the participants of Junior Eurovision 2018 and 2019 from Russia, as well as 11 contestants of the upcoming 2019 Eurovision Song Contest. April 24 (19.00) - a gala concert and the Russian pre-party of the Eurovision Song Contest 2019 in Vegas City Hall. The program includes a red carpet with the participation of contestants 2019 and numerous Russian stars, a gala concert with the participation of 11 contestants of the loudest European song contest - Eurovision-2019 in Moscow, as well as participants and winners of the past years. Tickets can be booked by phone 8 (499) 55 000 55, as well as online at Vegas Hall website. Balcony 600 - 800 Rubles; Parter 1000 - 3000 R; Fan Zone 1000 R.
11й выпуск превью-шоу Eurovision In Concert пройдет в субботу, 6го апреля в 20:00 в Амстердамском зале AFAS Live. Ведущими шоу выступят Корнальд Маас (голландский комментатор Евровидения) и Марлейн Сахупала (представительница Нидерландов на Евровидении 1999). Билеты поступили в продажу в пятницу, 28 сентября, на сайте ticketmaster. Записи выступлений можно увидеть здесь. OGAE NL проведет пре-пати Amsterdam Calling в пятницу, 5го апреля, в De Melkweg. Билеты можно приобрести на Ticketmaster.nl. Самый большой концерт Евровидения в Прибалтике и Северной Европе состоится в пятницу, 12 апреля, в 21:00 в концертном зале Crystal Club в Риге. Артисты Евровидения приедут в Ригу для того, чтобы исполнить свои конкурсные песни. "Eurovision PreParty Riga 2019" пройдет в израильском стиле - чтобы подготовиться к большому финалу в Тель-Авиве в мае! На превью-вечеринке в Риге у каждого будет возможность услушать живые выступления песен Евровидения 2019 года. После концерта музыканты будут доступны для личных фотографий, селфи, а также общению с поклонниками. Билеты можно приобрести здесь по цене 15-19 Евро (индивидуальные билеты на танцпол), 80-184 Евро (столики на 4-8 персон). Ведущим шоу станет Роберто Мелони. Объявлена дата проведения Лондонской вечеринки Евровидения London Eurovision - воскресенье, 14 апреля, 19:00. Подчеркивается, что дата является предварительной, и зависит от окончательного решения правительства Великобритании по Брекситу, что может затруднить въезд артистов в страну. В шестой раз подряд шоу пройдет в Кафе де Пари на площади Лестер. "Каждый год мы получаем отличные отзывы от делегаций, которым нравится наш выбор места проведения London Eurovision. Артисты действительно чувствуют реакцию зрителей, когда они выступают на его сцене, и это придает им дополнительный адреналин", говорит Рассел Дэвис, соорганизатор мероприятия. Билеты на London Eurovision Party 2019 поступят в продажу в субботу, 16 февраля, в 10:00 на сайте TicketWeb. Их стоимость составляет 52,50 фунтов стерлингов плюс сборы за общий вход, 67,50 фунтов стерлингов плюс сборы за ранний вход и 130 фунтов стерлингов за VIP-билеты, которые позволяют получить доступ на балконную площадку наверху зала, а также подарочные пакеты с эксклюзивными суверинами, легкими закусками и жетонами для напитков на мероприятии, а также возможностью лично встретиться со звездами Евровидения. Вечеринка Eurovision-Spain Pre-Party пройдет 19 и 20 апреля. Культовая La Riviera в Мадриде вновь примет Welcome PrePartyES и основной концерт, которые пройдут под девизом "Ритм, который объединяет нас", отпразднуя 50-летнюю годовщину первого и единственного конкурса, прошедшего в Испании. Билеты на шоу поступят в продажу в среду, 19 декабря в 14:00 Москвы на официальном сайте http://www.pre-party.es/ , во всех туристических центрах El Corte Inglés и по телефону. Как и в двух прошлых выпусках, к приобретению будут доступны два вида билетов - Фан (для первых рядов) и обычные. Их также можно будет приобрести индивидуально или в пакете со скидкой. В этом году также будет представлен Золотой Билет, который будет включать в тебя два места в фан-зоне, две вечеринки, подарочный пакет и участие в Meet & Greet c, по-меньшей мере половиной участников Евровидения 2011, которые примут участие в вечеринке. Эта встреча пройдет днем 19 апреля. "Золотой Билет" выпущен тиражом только 35 штук. Помимо того, часть билетов зарезервированы для членов фан-клубов ОГАЕ, AEV и E-S CLUB. 24 апреля, Vegas City Hall: московский гала-концерт «Eurovision-2019» соберет рекордное количество участников за всю историю российских pre-party. «Евровидение» — популярнейший песенный конкурс, который смотрят в Европе и других странах мира. Аудитория насчитывает около 200 миллионов зрителей. В 2019 году в Тель-Авиве участие в конкурсе примет 41 страна, включая Австралию. Традиционные pre-party легендарного конкурса проходят в Лондоне, Амстердаме, Риге и Москве. 24 апреля на сцене Вегас Сити Холла свои песни представят конкурсанты из 11 стран, что станет абсолютным рекордом за всю историю московских pre-party. И список участников продолжает пополняться. Делегации от Белоруссии, Великобритании, Черногории, Молдовы, Испании, Ирландии уже не в первый раз поддерживают российский концерт своим участием, а вот конкурсанты «Eurovision-2019» из Чехии, Хорватии, Сербии, Дании и Австрии впервые выступят перед российской публикой. В этом году мероприятие принимает площадка Вегас Сити Холл (вместимость более 1700 человек) а это значит, что концерт соберет и рекордное количество зрителей. Организаторы представят публике новый уникальный формат: в этом году они объединят российские pre-party детского и взрослого Евровидения 2019. В рамках гала-концерта свой блок и участников национального отбора Детского Евровидения-2019 для всех фанатов и СМИ представит Музыкальная Академия Игоря Крутого. Этот блок откроет победительница Детского Евровидения-2017 Полина Богусевич, в программе выступят участница Детского Евровидения-2018 от России Анна Филипчук, а также самые яркие воспитанники Академии и участники отбора на Junior Eurovision этого года Анна Юркевич, Марьяна Титова, Татьяна Меженцева, Фидан Гусейнова, группа «Дочас», Михаил Ногинский и Вадим Якушев. Кроме основного события 24 апреля – вечеринки и концерта (19.00) – перед мероприятием пройдет два громких промо-события. 23 апреля (20.00) – welcome-party (meet and greet) в ресторане «Кому жить хорошо». В программе мероприятия – красная дорожка, фото-колл всех приглашенных участников Евровидения-2019 с участием российских звезд первого эшелона, закрытая вечеринка и концерт. 24 апреля (11.00) – пресс-конференция на площадке проекта Панорама360 (89 этаж башни Федерация) с участием представителей Академии Игоря Крутого, участников Детского Евровидения 2018 и 2019 от России, а также 11 конкурсантов грядущего взрослого Евровидения-2019 , которое пройдет в мае в Тель-Авиве. 24 апреля (19.00) – гала-концерт и российская pre-party конкурса Евровидение-2019 в Вегас Сити Холл. В программе – красная дорожка с участием конкурсантов-2019 года и многочисленных российских звезд, гала-концерт с участием 11 конкурсантов самого громкого песенного конкурса Европы – Евровидения-2019 в Москве, а также участников и победителей конкурса прошлых лет. Билеты можно забронировать по телефону call-центра: 8 (499) 55 000 55, а также забронировать или купить на сайте Vegas Hall. Балкон 600 - 800 Р; Партер 1000 - 3000 Р; Танцевальный партер 1000 Р.